Chicago Cubs' Wrigley Field:The Scoreboard That Keeps Baseball's Beginnings Alive The home of the Chicago Cubs is also home to a living relic: one of the few remaining vintage scoreboards operated by hand. 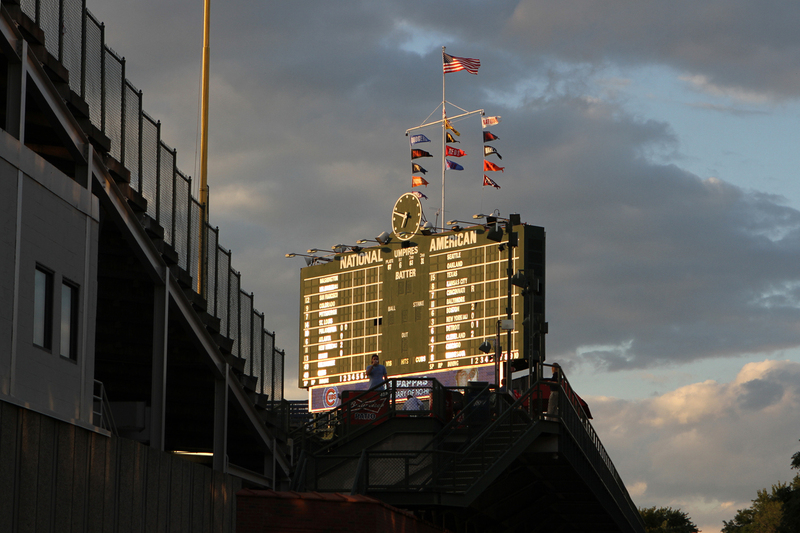 BUILT in 1937 as part of a major Wrigley Field renovation led by General Manager Bill Veeck, which included the construction of the bleachers and the planting of famous ivy on the outfield walls. DESIGNED by architects better known for early high-rises, Holabird & Root, a firm founded in 1880 and known for developing the groundbreaking Chicago School of skyscraper design. DIMENSIONS: The scoreboard is 27 feet high by 75 feet wide; the top of the scoreboard is 60 feet above the ground. THERE'S NO BATHROOM, and because of the constant game action and need to update league-wide scores, employees don't have time to climb down the ladder to use the facilities. 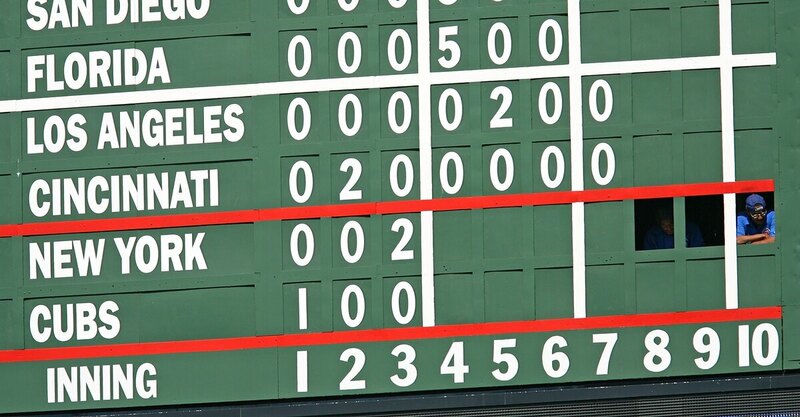 NO BATTED BALL has ever hit the center field scoreboard, according to the official team history, but two barely missed: In 1948, ex-Cub Bill Nicholson of the Philadelphia Phillies hit a home run near the right field side of it onto Sheffield Avenue. And the Pittsburgh Pirates' Roberto Clemente missed on a left-center homer onto Waveland Avenue in 1959. 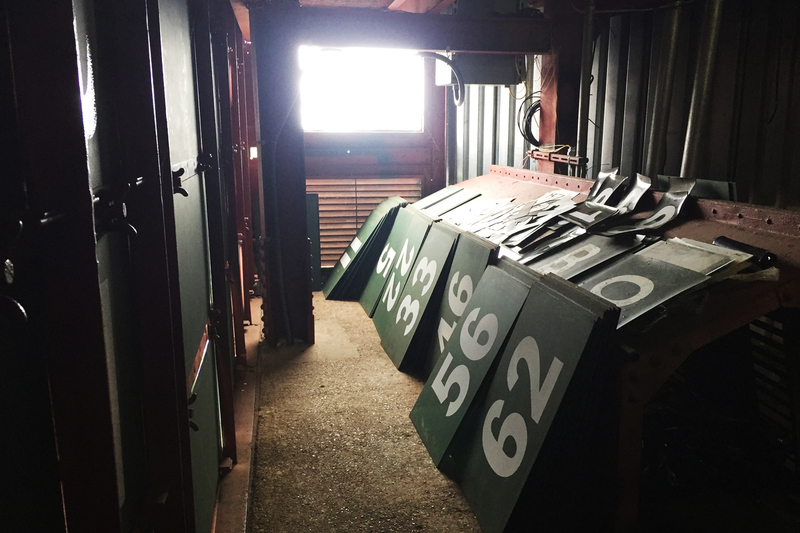 In the audio version of this story, as in a previous Web version, we report that just two Major League Baseball stadiums have manual scoreboards. 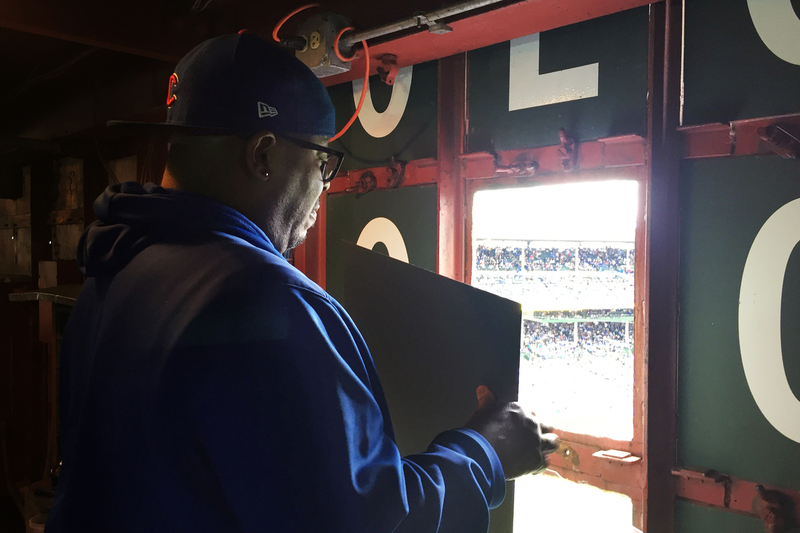 We should have noted that just two stadiums — Wrigley Field and Fenway Park — have vintage manual scoreboards. Several other modern stadiums have small manual scoreboards.